The peaceful life of a Christian fisherfolk community in Goa is disrupted by the arrival of a gold smuggler from Bombay, Tony (Dev Anand). Fisherwoman Maria (Geeta Bali) falls prey to his charms much against the wishes of her blind brother, Carlo (KN Singh), friend Simon (Ramsingh) and Tony’s accomplice Lisa (Purnima). Even as Maria believes his love is genuine, Tony has plans of selling her off to the Arabs. When the cops catch up with him, he abandons her at sea. Finally Maria convinces Tony that no one is totally evil and Tony surrenders to the police knowing that Maria would be waiting for him when he returned. As a second film, Jaal is a not bad follow up to Baazi (1951) from Guru Dutt. Inspired by the Italian film, Bitter Rice, that Dev Anand and Guru Dutt had seen together, the film won deservedly much praise for its ‘realistic’ depiction of the Christian fisherfolk as against usual stereotypes of them being immoral and drunkards. Jaal, in fact, shows the community as normal, hardworking and god-fearing respectable folk, but unfortunately uneven characterizations and a plodding uneven pace make Jaal a not-as-tense thriller as it should otherwise have been. Still, it is an engrossing enough watch, no doubt. In spite of some clunky storytelling at times, Guru Dutt shows early traces of his ability to give even ordinary scenes a unique visual treatment thereby lifting them considerably. Take for instance, the ferris wheel sequence where Lisa rides with Maria with Tony waiting below. As Lisa warns Maria about Tony’s true nature, with each turn of the wheel, Maria’s view of Tony is changed, not just physically but psychologically; or unable to resist Tony calling out to her through the Yeh Raat Yeh Chandni song, as a disturbed Maria makes her way onto the beach following the song, she is caught in a fishing net – symbolic of her being snared. In fact, Guru Dutt did this in Baazi too where in the Sharmaye Kahe song, the club dancer (Bali) ‘traps’ Dev Anand with a net, thereby indicating his getting trapped in the world of crime. Scenes like these and a fine understanding on Guru Dutt’s part on how to picturize songs do help lift Jaal a notch or two. 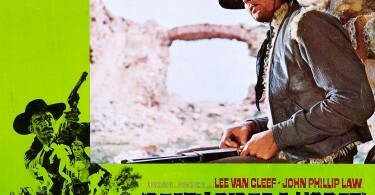 The main problem or strength – depending on which way you tend to look at it – is with the film’s central character, Tony. Tony was a selfish, dark and negative character reforming only right at the very end when Maria tells him she would wait for him once he is out of jail. While it was unusual and even refreshing for a hero to be such a cad in mainstream Hindi cinema, he was much too negative for some viewers, who preferred their heroes and villains in clear B & W terms. I, for one, feel the various shades of grey is what makes Tony so interesting an character. But even as Jaal builds him up as a ruthless criminal, it treats his Arab accomplices like total cardboard caricatures, which actually takes a lot away from the real danger Tony represents to Maria and others. Jaal sees one of Dev Anand’s best ever performances as he mixes his dark side with his charming one perfectly. We understand that why Maria is irresistibly drawn to him even though she knows he’s evil and could possibly just be using her. The film highlights yet again how suitable Anand was in playing shaded ‘noir’ characters in the urban crime films of the 1950s. On the flip side, his guitar playing leaves much to be desired but as audiences of the day didn’t really care about such ‘minor’ details as long as they story engaged them, he passes muster. Geeta Bali, as usual, scores heavily as the effervescent but naive Maria whose inertly good heart sees her falling for the roguish Tony. Sadly, she never really got her due as an an actress, often acting in films that were far less deserving of her presence and phenomenal talent. Purnima, KN Singh and Ramsingh lend more than adequate support and it is fun to see Guru Dutt himself in a little cameo as a fisherman in the Zor Lagake Hai Haiya song. The film also sees the beginning of the Guru Dutt-VK Murthy partnership and while Murthy’s camerawork is a little raw, certain sequences like the stunning sunset shots in the Pigla Hai Sona show early signs of the magic Dutt and Murthy would create with light and shade in subsequent films like Pyaasa (1957), Kaagaz ke Phool (1959) and Sahib Bibi aur Ghulam (1962). We also see early signs of framing using the foreground and background most effectively, many compositions having frame within frames, and some fine swooping crane movements, all of which were to become signature Guru Dutt shots. SD Burman’s music is remarkable for the Hemant Kumar all-time hit Yeh Raat Yeh Chandni and its counterpart by Lata Mangeshkar – Chandni Raaten Pyar Ki Baaten. 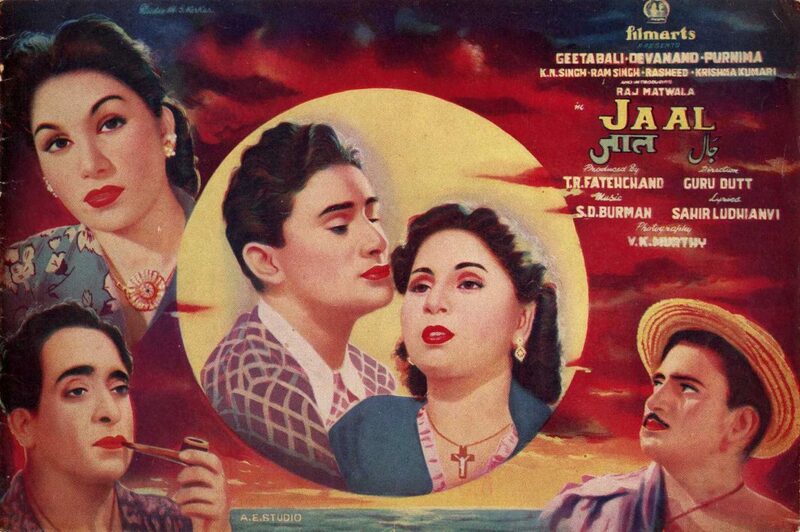 Other well tuned compositions include Pigla Hai Sona and Chori Chori Meri Gali Mein making good use of Goan folk music, the Kishore Kumar-Geeta Dutt lively duet De Bhi Chuke Hum Dil Nazrana, picturized with Dev and Geeta Bali up on a tree, and the warning song Soch Samajhkar Dil Ko Lagana rendered beautifully in her unique sultry style by Geeta Dutt. All in all, Jaal has its strong moments and is well, well worth a watch even if, in the end, it is a good but admittedly not great Guru Dutt film. Incidentally, Jaal courted a controversy of sorts in 1954 when in a bid to stop Indian films from releasing in Pakistan to help develop the local film industry there, a huge protest was held against Jaal’s exhibition in West Pakistan. The protest came to be known as the ‘Jaal movement’. Riding The Same Horse Twice!